This week in 1987, Roxette entered the Swedish Top 40 at No.18 with ‘Soul Deep.’ The single had ‘Peals of Passion’ as the B-side. It only spent three weeks on the chart, remaining at No.18. The song was included on the album Pearls of Passion which was released in November 1986. A remix of the song was later included on the remix album Dance Passion. The album peaked at No.19 in April 1987. It was the third single off Pearls of Passion. It followed ‘Neverending Love’ and ‘Goodbye to You.’ The single was released in Canada and select European countries. It only charted in Sweden, unfortunately. Originally it was called ‘Dansar nerför ditt stup I rekordfart,’ i.e. in Swedish. In 1991, the track was remixed for inclusion on the Joyride album. The ‘Pearls of Passion’ track was not only a B-side on ‘Soul Deep.’ It returned as a flip side to ‘Queen of Rain’ (1992). Jackie Day’s 1967 hit ‘Before It’s Too Late’ is used as a reference to the song. Last year, Roxette releasedthe tenth album. Good Karma was released on June 3rd via Parlophone. It was the first set to be released under a new contract with Warner Music. The first single was ‘It Just Happens.’ The duo was set to tour from June last year, but due to Marie Fredriksson’s illness it was canceled. 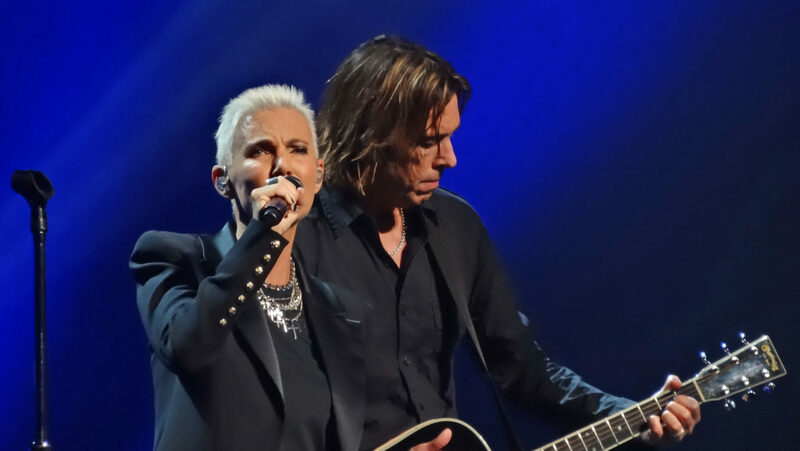 Follow WelcheMusic.com for further updates on Roxette.